Its mathematics, poetry and sensuality. I also work with the air and the light. 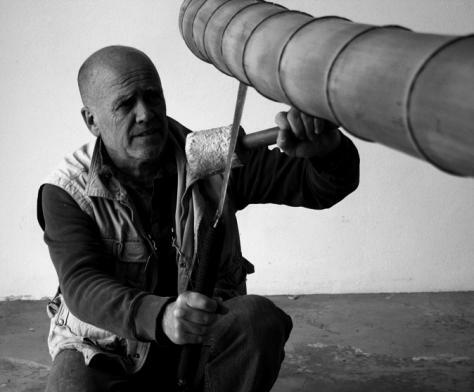 2004: I say goodbye to my old life to pursue my passion and take the first step of my "Bamboo Road"
through India, Thailand, Vietnam and Laos where I discover the essence of bamboo. 2005: Meeting Jose Luis Pascual. At KM7, his art space, I hold my first exhibition. 2013: February-March in Bali! 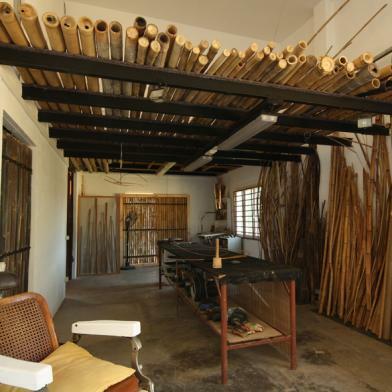 Where I experience techniques and ideas with amazing bamboos. A great life and bamboo lesson ! 2016: exploring in Korea & Taiwan the Ceramic & Bamboo craft. 2017: many projects in Taiwan collaboratively with the NTCRI, National Taiwan Craft Research Institute. Pinta London (art fair) introduced by Mercedes Durban and Aina Nowack Gallery.